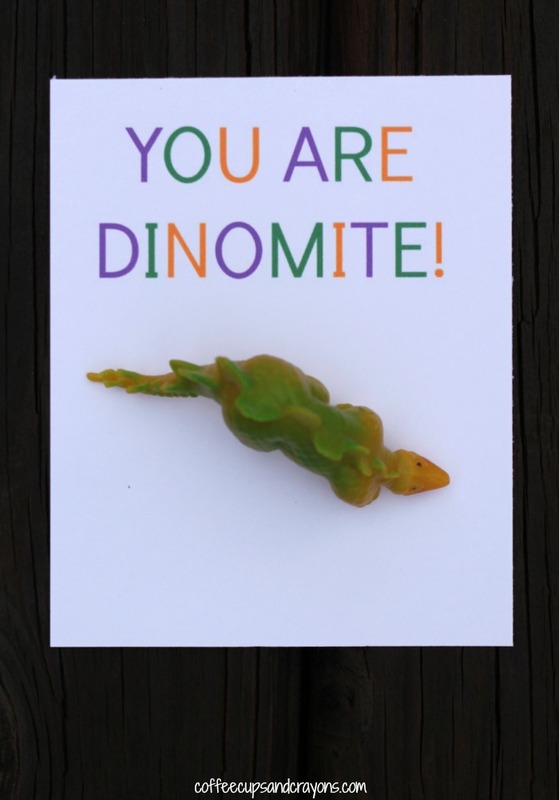 You are DINOMITE! Who wouldn’t want to get a dinosaur valentine on Valentine’s Day? They are so much fun! 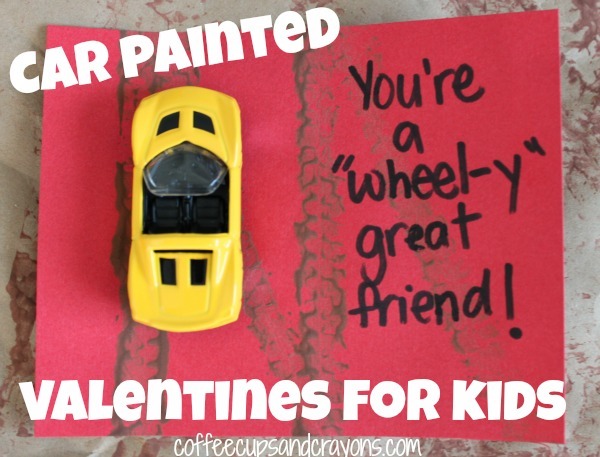 Last year my preschooler decided she wanted to give dinosaur valentines to her friends the night before Valentine’s Day so I came up with these super simple free printable dinosaur valentines for her to pass out. 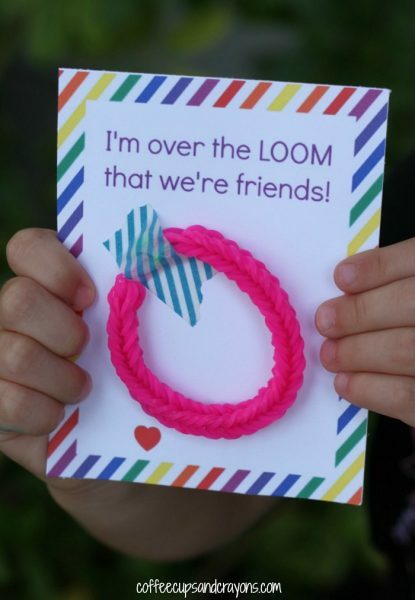 This valentine is super simple to put together. 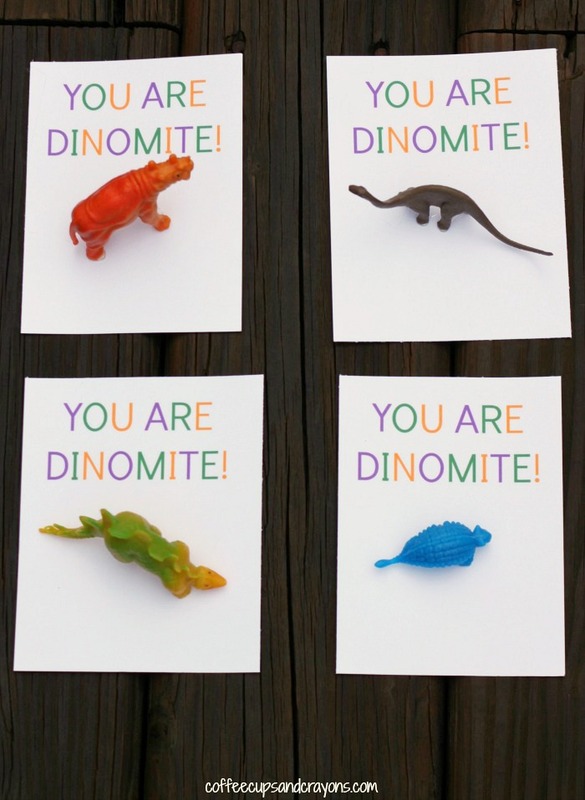 Download the free You Are DINOMITE! printable and print onto card stock. 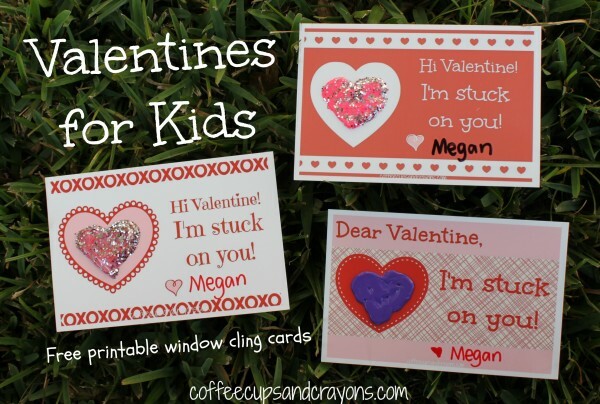 There are 4 cards on each printable so cut each sheet into fours. I use a paper cutter but scissors would work too. Then add the dinos. We ended up hot gluing them right onto to the paper. I tested it first to see if they were easy to take off once glued on and had no trouble. I placed a dot of hot glue onto the bottoms of all of the dinosaur feet and we stuck them on the printable card. Once all the dinos were glue on and dry my preschooler wrote her name at the bottom and we packed them up to pass out at school. 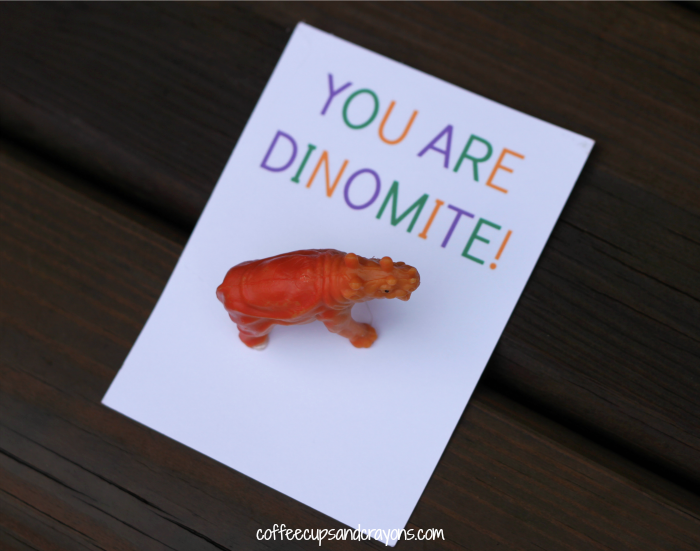 I let her choose the colors for the printable and she definitely thought these valentines were dinomite! 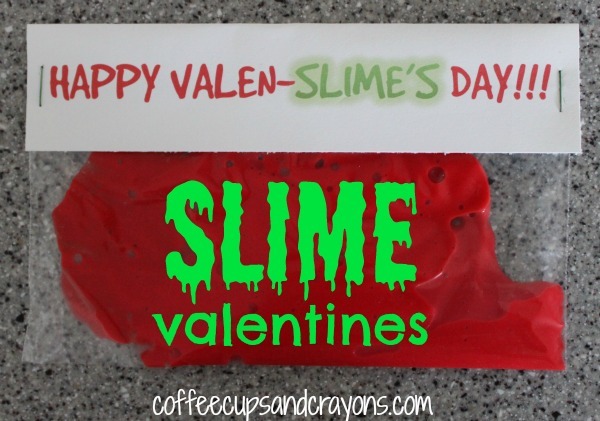 If you liked these free printable dinosaur valentines then you will love our other homemade valentines for kids! How cute! I love these “pun-ny” types of Valentines.